Barkley signed a two-year contract extension with the Bills on Friday. Barkley's teammate Josh Allen had a full week of practice this week and has been deemed fit to start Sunday against the Jaguars. 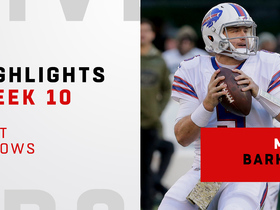 Barkley's teammate Josh Allen (elbow) will put in a full practice Monday and is on track to start the Bills' Week 12 game against the Jaguars, Mike Rodak of ESPN.com reports. 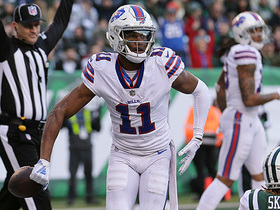 Analysis: Barkley opened plenty of eyes with a surprise two-touchdown, no-interception performance in the Week 10 win over the Jets, but Allen is the future of the 3-7 Bills and coach Sean McDermott wants to get the rookie as much time on the field as possible. Allen could always suffer a setback, while at the very least Barkley looks like he's quickly leapfrogged Nathan Peterman (since waived) and Derek Anderson (concussion) to find a relatively permanent home on the depth chart. 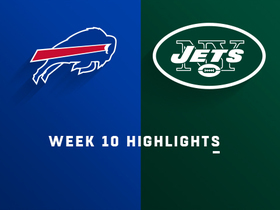 Despite Barkley's impressive performance against the Jets on Sunday, head coach Sean McDermott said Monday that quarterback Josh Allen (elbow) will return to the starting lineup when healthy. Barkley completed 15 of 25 passes for 232 yards and two touchdowns in Sunday's 41-10 win over the Jets. Barkley will start Sunday's game against the Jets. Vic Carucci of The Buffalo News states there's a decent chance Barkley will receive the start against the Jets after working with the starting unit at times during Friday's practice, coupled with the fact that Josh Allen (elbow) is listed as questionable. Barkley could start Sunday against the Jets if both Josh Allen (elbow) and Derek Anderson (concussion) are unavailable, Joe Buscaglia of WKBW.com reports. 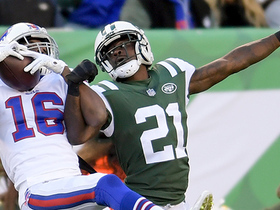 The Bills signed Barkley to a one-year contract Wednesday, Chris Brown of the team's official site reports. Barkley (knee) reached an injury settlement with the Bengals on Wednesday, Katherine Terrell of ESPN.com reports. Analysis: Barkley seemed in line for a backup role in Cincinnati prior to suffering a knee injury in the team's preseason finale. He will now be able to find a new home elsewhere in the league once his heath is up to par. 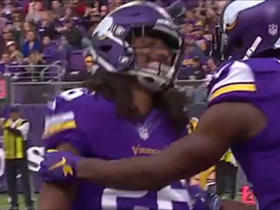 Barkley (knee) was placed on injured reserve Saturday, Tom Pelissero of NFL.com reports. Analysis: Barkley was in line for the backup role in Cincinnati prior to his injury in the team's preseason finale. Barring an injury settlement, he'll spend the remainder of the season on IR since he's not a candidate to be designated for return. Barkley has been ruled out of Thursday's preseason game against the Colts due to a left knee injury, Katherine Terrell of ESPN.com reports. Barkley signed with the Bengals on Saturday, Paul Dehner Jr. of The Cincinnati Enquirer reports. 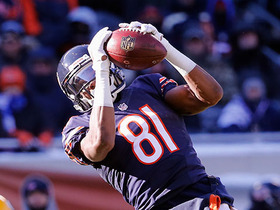 Analysis: Barkley was with the Cardinals for the final seven weeks of last season, but he hasn't played in a game since 2016, when he was picked off 14 times in seven appearances for the Bears. 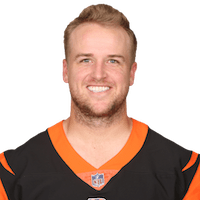 He joins Jeff Driskell (arm) on the Cincinnati depth chart behind Andy Dalton, with the Bengals likely planning to add a draft pick or another veteran before training camp. Barkley likely will need to compete for a roster spot. Barkley has signed with the Cardinals. Analysis: Barkley gives the Cardinals some added QB depth, with Carson Palmer on IR and current starter Drew Stanton dealing with a knee sprain. In any case, he's also behind Blaine Gabbert on the team's depth chart, so game action is not imminent for Barkley in his return to the team. The Cardinals are expected to finalize a contract with Barkley ahead of the team's Week 11 game against the Texans, Chris Mortensen of ESPN reports. 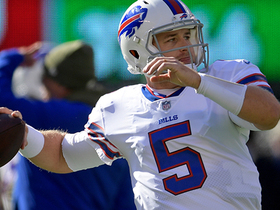 Buffalo Bills quarterback Matt Barkley lobs the ball to wide receiver Robert Foster for a 43-yard completion. 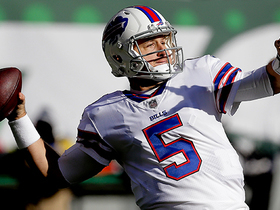 Buffalo Bills quarterback Matt Barkley finds Zay Jones in the end zone for a 8-yard touchdown. 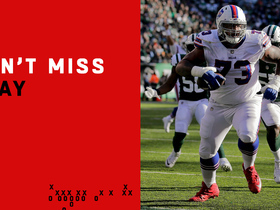 Buffalo Bills quarterback Matt Barkley finds offensive tackle Dion Dawkins who gets a 7-yard touchdown. 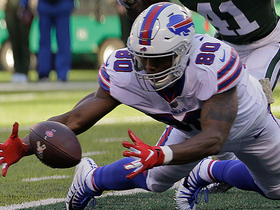 Buffalo Bills quarterback launches the ball 45 yards to wide receiver Robert Foster on the first play of the game.